The plague is one of the oldest identifiable diseases known to man. It is caused by the bacterium Yersinia Pestis and is infamous for killing millions of people in Europe during the Middle Ages. Today, modern antibiotics are effective in treating plague. There are two forms of plague: the first is the common bubonic form that is transmitted from fleas to humans. In some cases, however, the human can also become a transmitter, and then the disease becomes the pneumonic plague, which can kill within 24 hours. Roughly one case in 50 turns into pneumonic plague. The affected person then becomes a serious health risk in his environment and this is when in a densely populated city, a plague may mean disaster. Recent outbreaks have shown that plague may reappear in areas that have long been free of the disease and if untreated, it is still deadly. As of mid-November there had been 119 cases of confirmed plague in Madagascar, with 40 deaths – there have been frequent outbreaks on the island in the last five years. Many types of animals such as squirrels, rats, prairie dogs, chipmunks, mice, voles, and rabbits can be affected by plague. Scientists think that plague bacteria circulate at low rates within populations of certain rodents without causing excessive rodent die-off. These infected animals and their fleas serve as long-term reservoirs for the bacteria. However, during outbreaks many rodents die, causing hungry fleas to seek other sources of blood. 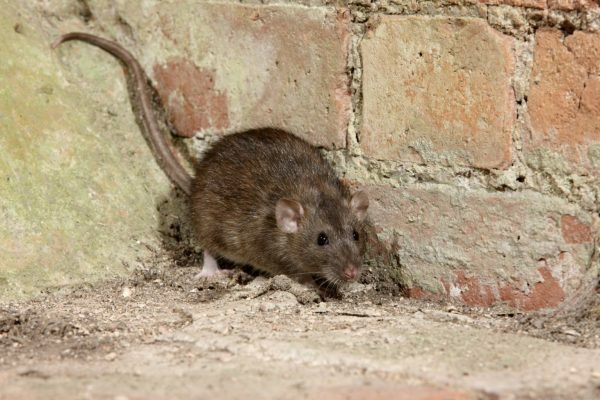 Unfortunate people and animals that visit places where rodents have recently died from plague are at risk of being infected from such fleabites. Dogs and cats may also bring plague-infected fleas into the home. Since the 1990s human cases of plague have principally occurred in Africa but it has also been reported in Asia, South America and rural parts of south-western USA. Almost all of these cases have been among people living in small towns and villages or agricultural areas rather than in larger towns and cities. Between 1,000 and 2,000 cases are reported each year, though the true number is likely much higher. It is hard to assess the mortality rate of plague in developing countries, as relatively few cases are reliably diagnosed and reported. Mortality rates are around 10% but may be much higher in endemic areas. The most recent plague epidemics were reported in India in the first half of the 20th Century and in Vietnam during wartime in the 1960s and 1970s. Cases of plague have been reported nearly every year from eight countries: Democratic Republic of the Congo, Madagascar, Tanzania, Peru, USA, China, Mongolia, and Viet Nam. The total number of cases of plague reported to the World Health Organization between 1989 and 2003 was 38,310 including 2,845 deaths from 25 countries. The only way that plague can spread between people is by an infected person coughing droplets containing the bacteria into the air. If these droplets are then breathed in, they can cause pneumonic plague (affecting the lungs). This usually requires close contact with the infected person. General symptoms of plague include sudden onset of fever, headache, chills and weakness. Bubonic plague: This is the most common in which sufferers develop one or more swollen, tender and painful lymph nodes. This form usually results from the bite of an infected flea. If the patient is not treated with the appropriate antibiotics, the bacteria can spread to other parts of the body, causing ‘septicaemic plague’. Septicaemic plague: Patients develop abdominal pain, shock, and possibly bleeding into the skin and other organs. Skin and other tissues may turn black and die, especially on fingers, toes, and the nose. This form results from bites of infected fleas or from handling an infected animal. Pneumonic plague: Patients present with a rapidly developing pneumonia with shortness of breath, chest pain, and cough, sometimes with blood-stained sputum. It is spread by droplets or may develop from untreated bubonic or septicaemic plague. The pneumonia may cause respiratory failure and shock. Pneumonic plague is the most serious form of the disease. Clinically, the most common sign of bubonic plague is the rapid development of a swollen and painful lymph gland often in the groin. This can occur in individuals living in a plague endemic area, or even in travellers. This sign along with a known flea bite may help a doctor to consider plague as a cause of the illness. The ‘incubation period’ (time from infection to symptoms developing) is usually 2 to 6 days. Diagnosis is confirmed by taking samples from the patient, especially blood or a sample of a swollen lymph gland, and submitting them for laboratory testing. Once plague has been identified as a possible cause of the illness, and before confirmation of the diagnosis, appropriate treatment should begin immediately. Plague is a very serious illness, but is treatable with commonly available antibiotics. Prior to the introduction of antibiotics plague killed two out of every three victims, but these days the mortality is nearer 10%. The earlier treatment begins the better the chances of a full recovery. Duration of treatment is 10 days, or until 2 days after fever subsides. In cases of pneumonic plague patients must be isolated to prevent spread. People in close contact with very sick pneumonic plague patients may be evaluated and possibly placed under observation. Preventive antibiotic therapy may also be given. For centuries, plague represented disaster for people living in Asia, Africa and Europe and because the cause of plague was unknown, plague outbreaks contributed to massive panic in cities and countries where it appeared. Black rats were the most commonly affected animals and the plague was known as “The Black Death”. The Justinian Plague in 541-6 AD affected much of the Mediterranean basin, with several outbreaks over the next 200 years that eventually killed millions of people. The Plague or “Black Death”, recorded in the 14th Century, spread from China along the great trade routes through to Europe where it claimed an estimated 25 million people over seven years, including 60% of Europe’s population. The Modern Plague again began in China in the 1860s and was spread to port cities around the world by rats on steam-ships. It lasted until the 1920s and resulted in approximately 10 million deaths. The causative bacterium was finally identified and the mode of transmission determined, with the result that plague was finally brought under control in most urban areas. There is currently no commercially available vaccine. Reduction of rodent population in endemic areas. Living areas should be cleared of rubbish to control rodent populations. Apply flea control products to domestic animals. Wear gloves when handling potentially infected animals or skins. Use repellent containing DEET and permethrin-treated clothing in endemic areas. Could the plague ever kill again on a mass scale? Scientists have unlocked clues about the strains of bacterium causing two of the world’s most devastating plagues, but could it ever kill on a mass scale as it once did? A team from Northern Arizona University has compared the genetic code of the Justinian Plague and the Black Death to find that both were caused by distinct strains of the bacterium Yersinia Pestis. To study it, scientists sequenced the Justinian Plague by looking at fragments of plague DNA from the teeth of two of its victims. They then compared this ancient strain to known current strains of plague, to construct a plague “family tree”. The team concluded that the Justinian Plague was an “evolutionary dead end” but are not quite sure why. And while the Justinian Plague strain became extinct, the Black Death-causing pathogen evolved and mutated, still killing today. Lead author David Wagner said that even though the strains today are just as deadly as those in the past, humans have changed. It was not likely we would ever see a plague as deadly as the ones from history, principally because the public health response would be quick and would be able to respond with containment measures and antibiotics.